"Diminishing Returns: with the continued increase of a certain factor of production the equivalent output will eventually diminish". Used to model business and economic growth, the concept of Diminishing Returns is appropriated to probe the physical stability of materials within contemporary society. Combining live projection, sound, objects and actions the work traces the slow de-materialisation of a solid block of aluminium. Aluminium is a relatively new material, with industrial production not achieved until the late 19th Century, however it quickly moved from a precious metal to a ubiquitous element within our contemporary lives. Aluminium also holds a chameleon-like status within our material world as its ease of recyclability lends to frequent reincarnation. 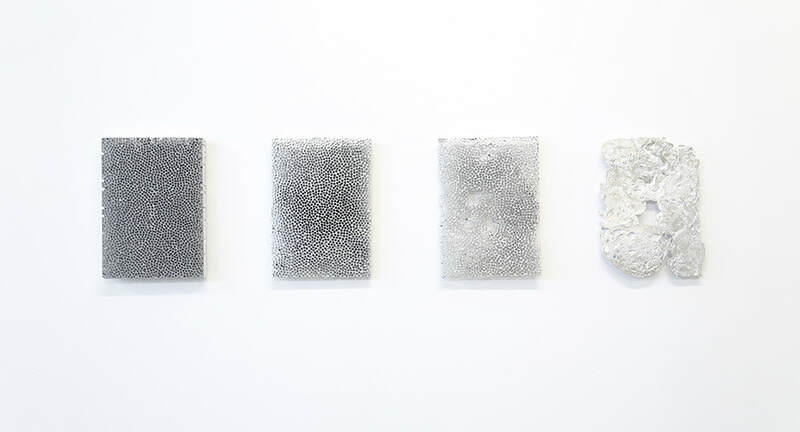 The work ‘Diminishing Returns’ traces the slow erosion of a solid block of aluminium as the majority of the material is drilled away until the original mass is outlined in form yet largely vacant. Through the careful collection and recasting of the removed aluminium, a less precise and considerably thinner echo of the original emerges. And so the loop begins, with the thinner aluminium block slowly drilled and recast to form an ever expanding series of diminishing returns. The physical erosion of the solid aluminium is paralleled by the digital de-materialisation of the process. 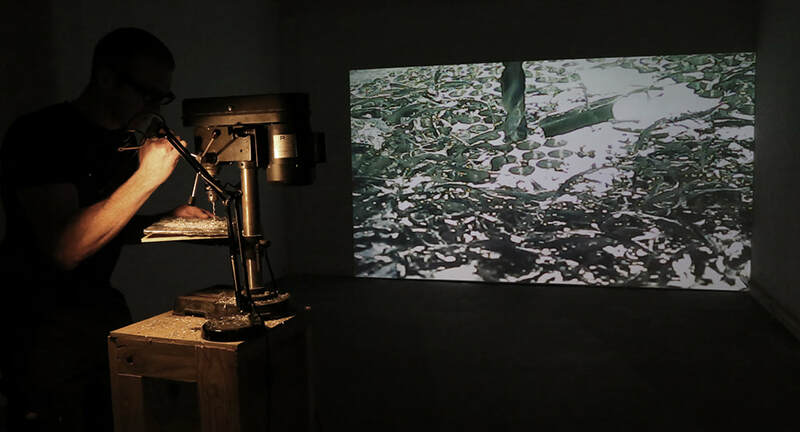 With a close-up camera recording the hypnotic drilling of aluminium the projection presents, large scale, the physical erosion of solidity.